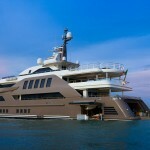 In the battle to be the most extravagant mega yacht on the seas, it takes a lot to really impress. 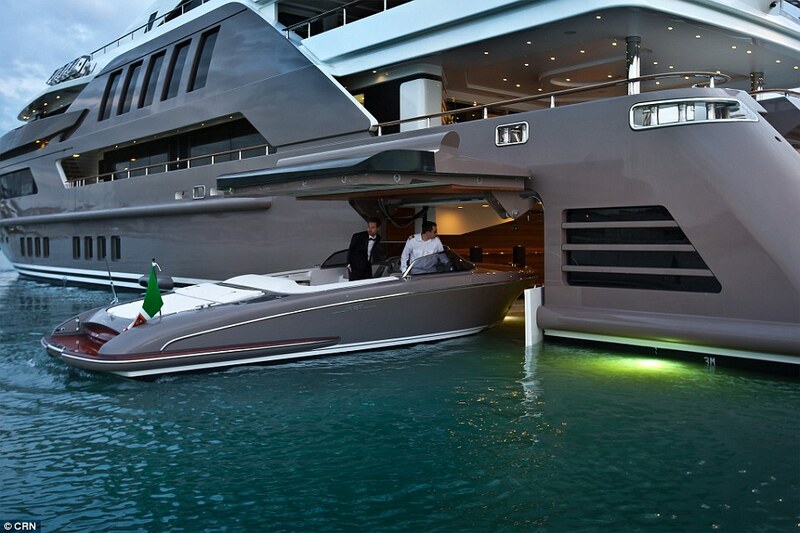 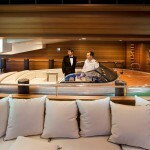 While helipads, waterslides, and movie theatres are commonplace additions to the yachts of the super wealthy, a stylish Italian vessel is making waves for being the first to feature a floating drive-in garage. 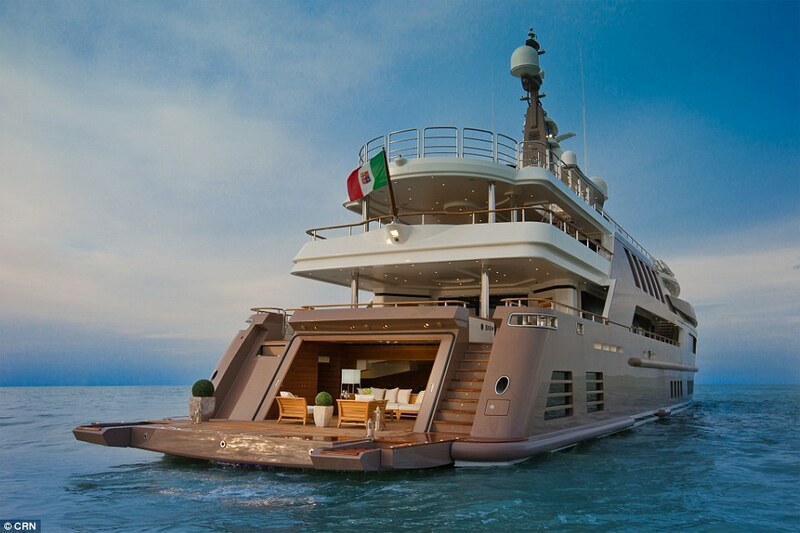 J’ade, by Ferretti group company CRN, features a hydraulic-operated hatch which can store an eight-metre speedboat without the use of a tender lift to hoist it out of the water. 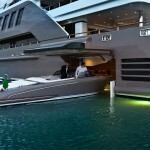 The internal basin, which holds 18,000 litres of water, floods and empties in just three minutes, enabling the boat (a 27ft Riva Iseo) to enter the yacht without using a crane. 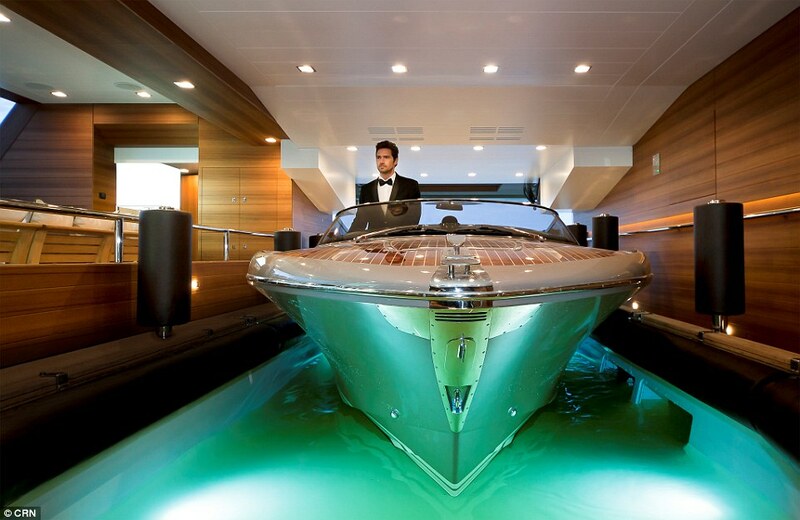 When the speedboat is not being stored inside, the basin can also be utilised as an indoor ocean pool, accessible from the lower-deck terrace. 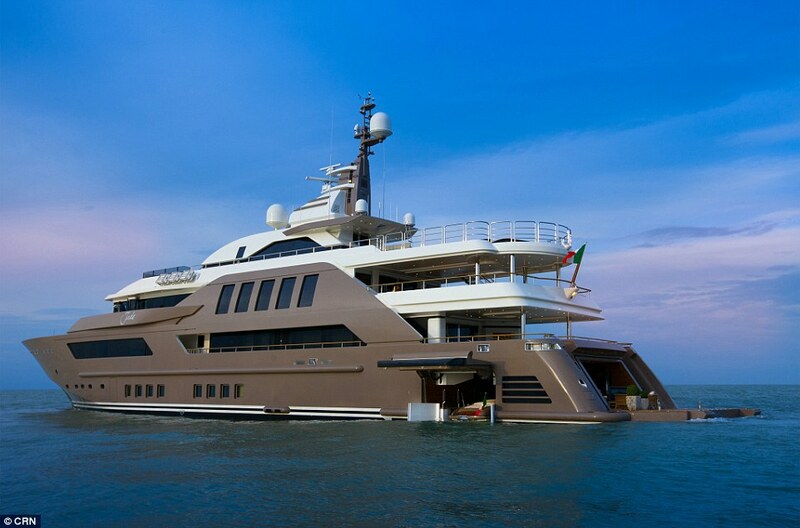 The privately-owned yacht was created by Studio Zuccon International Project, and is designed to feel ‘at one with the sea’. 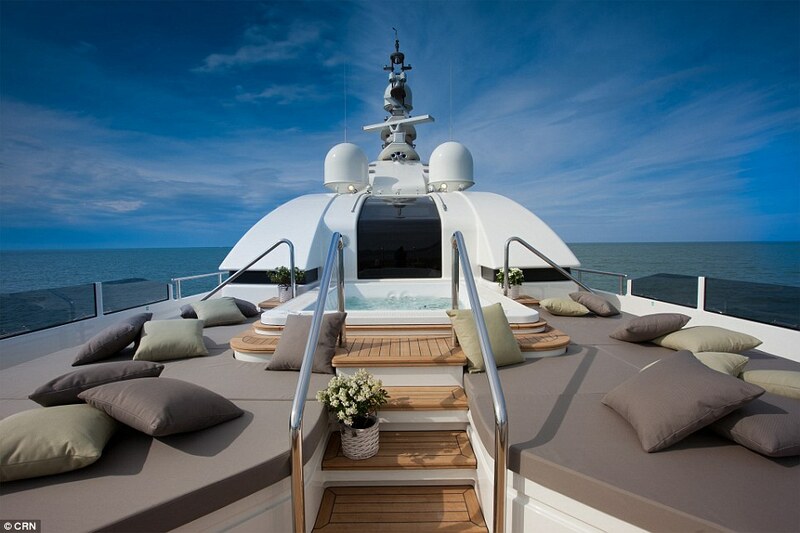 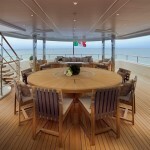 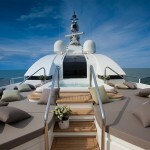 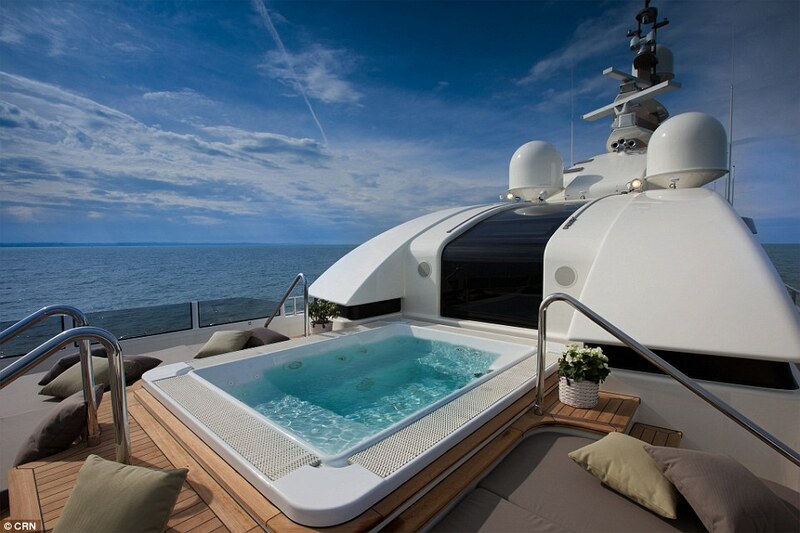 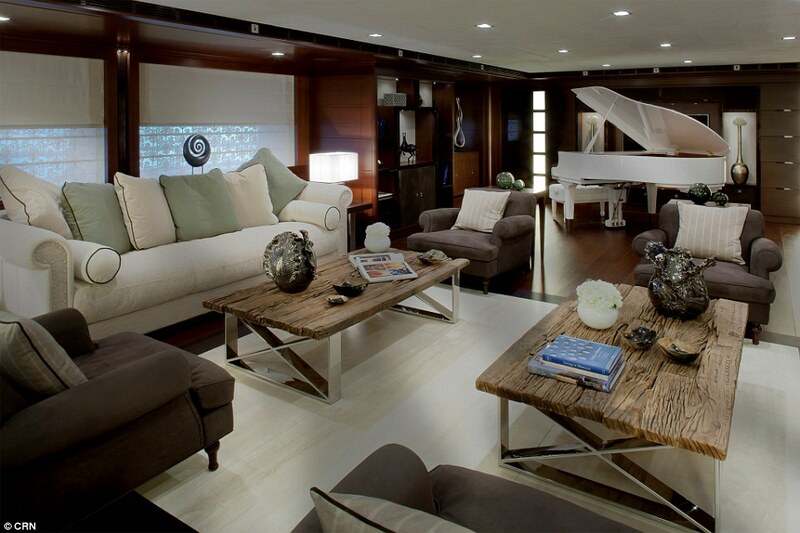 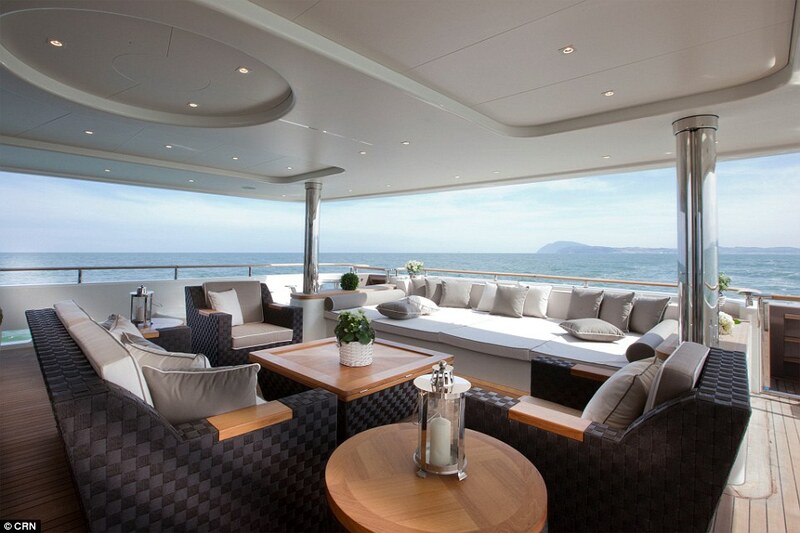 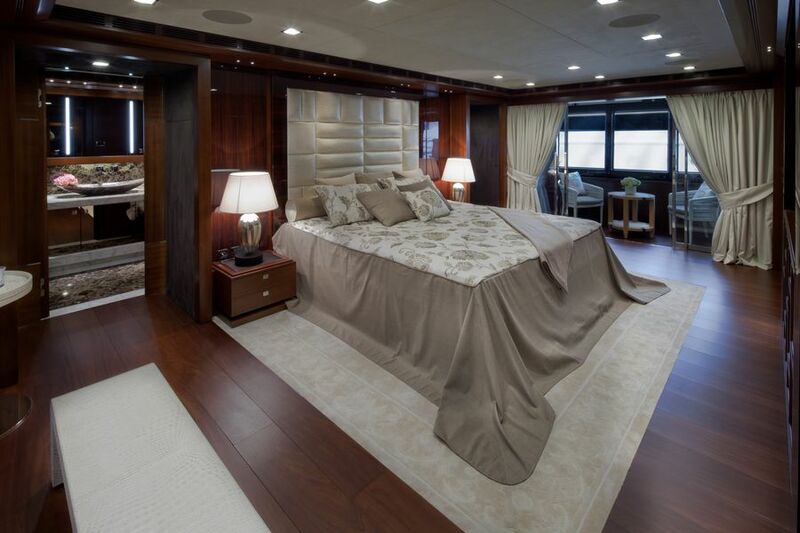 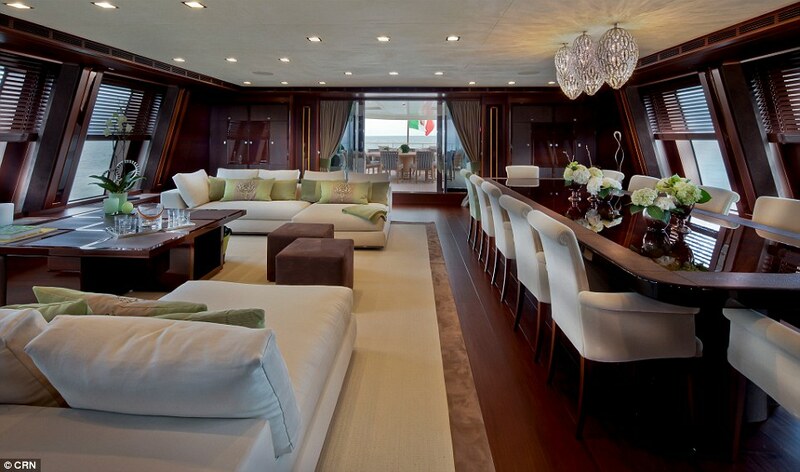 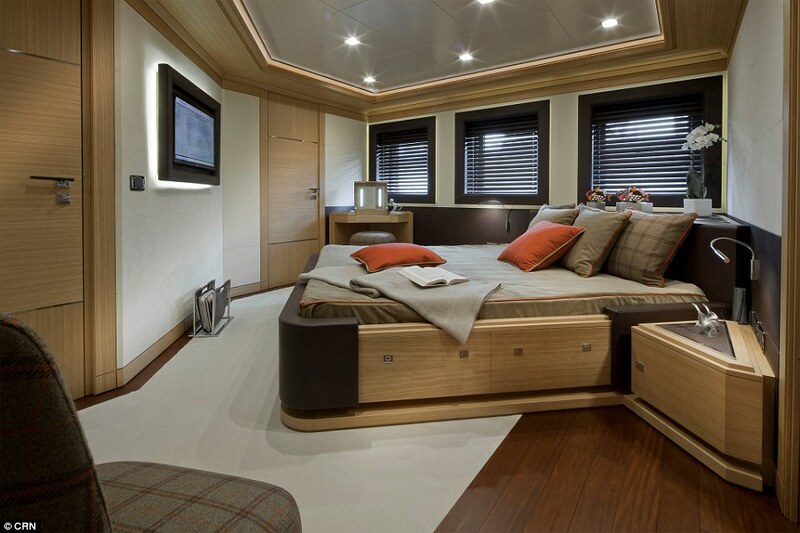 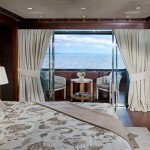 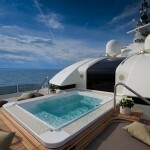 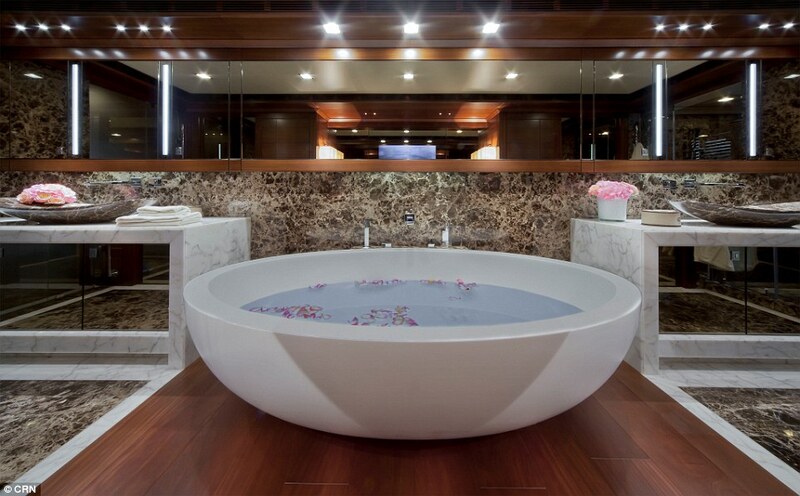 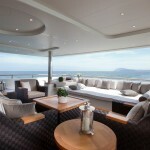 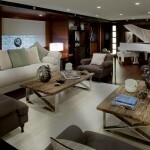 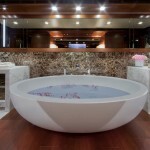 The 196-foot vessel can comfortable accommodate 10 guests in four cabins and the owner suite, and 13 crew members. 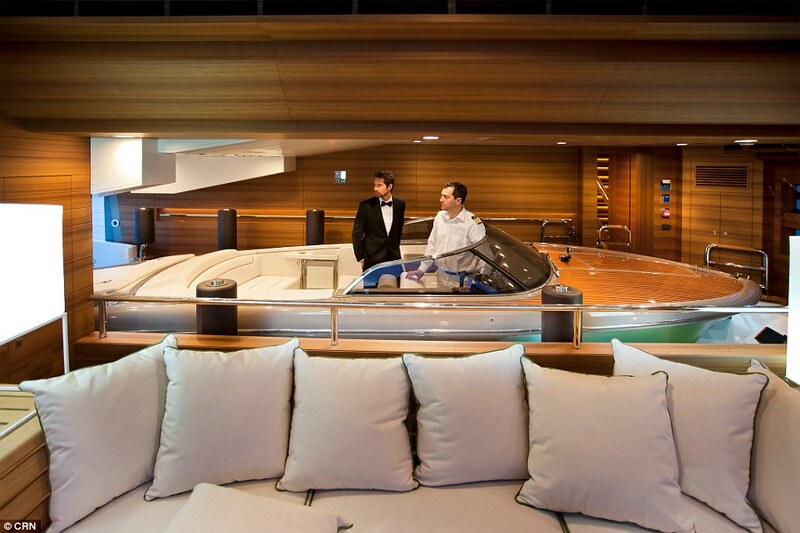 Aside from the impressive ‘garage’, J’ade also features a gymnasium, hammam room and aquarium. 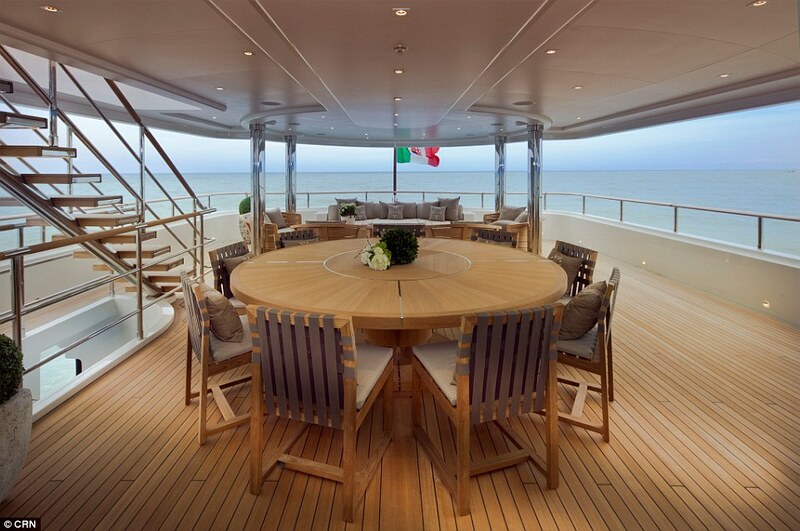 Across the four decks, materials for the interiors are Canaletto walnut and polished rosewood. 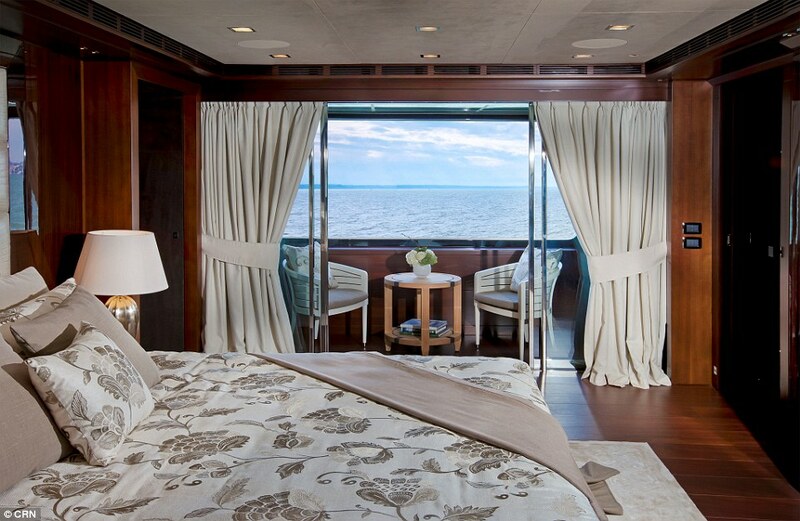 The hardwood floors are made of wide Afromosia strips and the cabins and owner suite are fitted with white Tai Ping carpets. 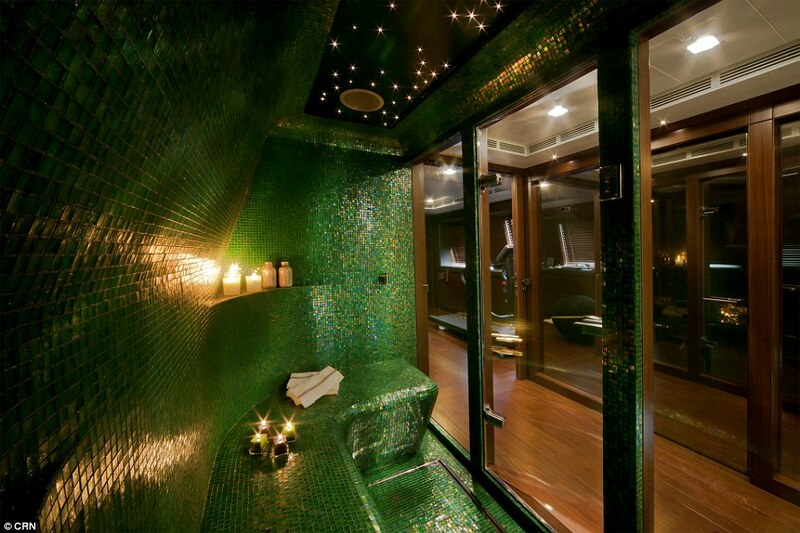 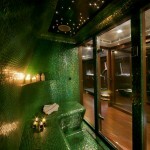 There are jade green accents throughout the interior. 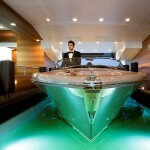 The centerpiece of the yacht is the central stairwell with a crystal lift. 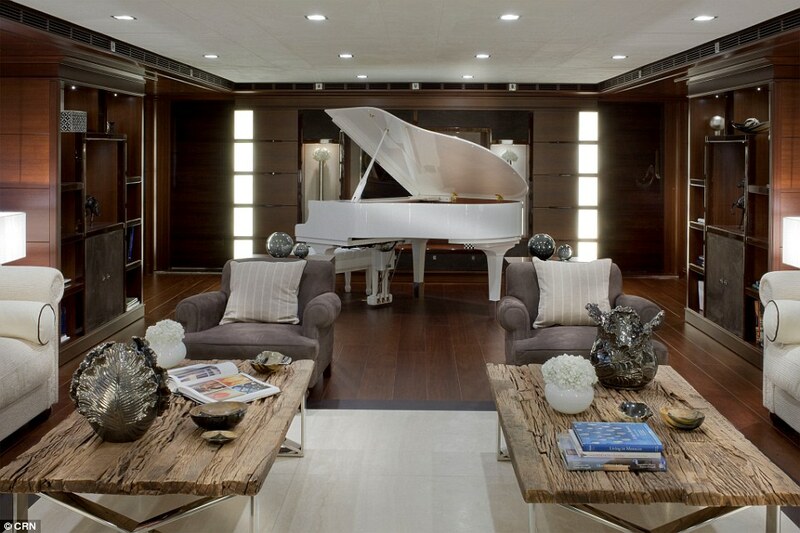 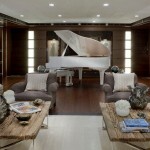 A white Yamaha piano sits in the living area. 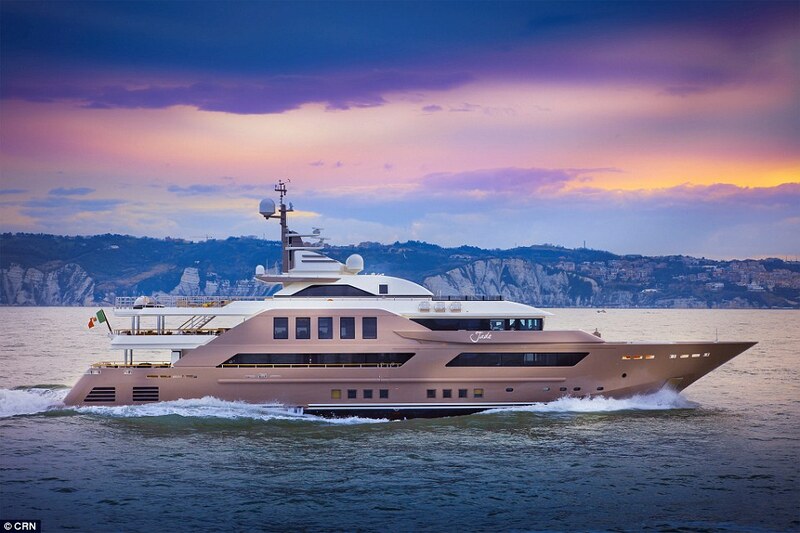 ‘CRN is experimenting,’ Luca Boldrini, CRN’s sales director told Boat International.